Dream Maker Gr – Experienced remodeling team specializing in bath and kitchen design and remodeling. Serving Greater Grand Rapids Area. 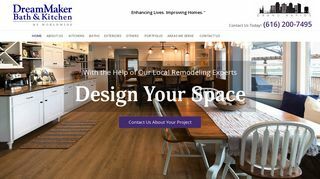 – Experienced remodeling team specializing in bath and kitchen design and remodeling. Serving Greater Grand Rapids Area.